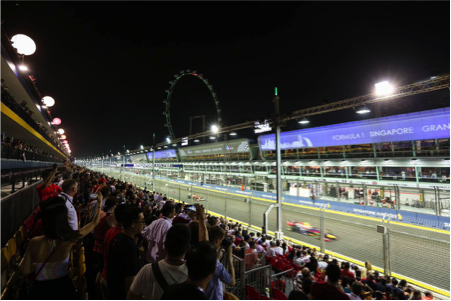 Singapore, 14 September 2015 – Race promoter Singapore GP has released Super Early Bird tickets to the 2016 FORMULA 1 SINGAPORE AIRLINES SINGAPORE GRAND PRIX, provisionally scheduled to be held from 16 to 18 September 2016 (subject to confirmation). Fans can enjoy significant savings of up to 30% off regular ticket prices when they purchase the three-day Zone 1 Walkabout Combination, or three-day Pit, Stamford, Padang and Bay Grandstands at Super Early Bird prices (priced from S$258 to S$898) from now to 27 September 2015. See Annex 1 for ticket prices. Singapore GP has released the popular Zone 1 Walkabout Combination ticket for the 2016 race during the Super Early Bird phase for the first time. At S$498, this Super Early Bird price offers fans savings of up to 28% off the regular price. Introduced in 2013, the Zone 1 Walkabout Combination consists of a Pit Grandstand ticket for Friday and Saturday, and a Sunday Premier Walkabout ticket to offer spectators the flexibility to explore different parts of the Circuit Park over three days. 2015 FORMULA 1 SINGAPORE AIRLINES SINGAPORE GRAND PRIX ticketholders who purchase a pair of 2016 Super Early Bird tickets between 14 and 17 September 2015 stand a chance to enjoy an upgrade to the luxurious Singapore Formula One Paddock Club™ for the upcoming race weekend. Fans needs to simply enter their 2015 and 2016 ticket transaction number on www.singaporegp.sg to qualify. Super Early Bird tickets for the selected categories are available for sale at www.singaporegp.sg, via the ticketing hotline at +65 6738 6738 as well as at all SISTIC outlets in Singapore from now to 27 September 2015. Tickets can also be obtained at ticketing booths at the Circuit Park from 18 to 20 September, as well as at the Raffles City Convention Centre (Swissotel The Stamford, Level 4) from 14 to 20 September.